Leica DM3000 with its intelligent automation supports greater efficiency and enhanced user comfort in clinical as well as all other biomedical routine and research applications. 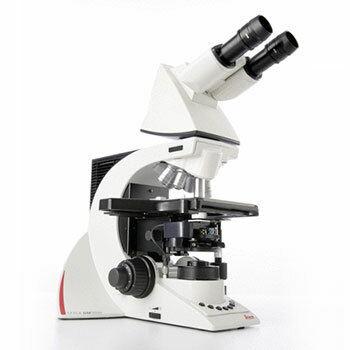 This innovative microscope has been developed for cytology and pathology laboratory environments as well as for biomedical research tasks, including fluorescence. With its unique toggle mode, motorized nosepiece, condenser, and automated light intensity adjustment the Leica DM3000 is suitable for all biomedical applications.